Apple Rock Displays has once again been awarded prestigious Platinum, Gold and Honorable Mention 2018 Hermes Creative Awards and MarCom Awards for excellence in trade show exhibit design. August 2nd, 2017 - Apple Rock Takes Home the 2017 Platinum dotCOMM Award for B2B Website Redesign. Apple Rock Displays was awarded the coveted 2017 dotCOMM Platinum Award for the competitive category of “B2B Website Redesign”. July 14, 2017 - Apple Rock Wins Communicator Award for Distinction in TV Commercials. Apple Rock Advertising and Promotion, Inc. (Apple Rock) has been awarded the Season 23 Communicator Award for Distinction in Commercials – General – Low Budget (under $5,000). April 19, 2016 - Apple Rock Wins Four 2017 Hermes Creative Awards for Trade Show Design Excellence. Apple Rock Displays has once again been awarded prestigious Platinum, Gold and Honorable Mention 2017 Hermes Creative Awards for excellence in trade show exhibits. Congratulations to the Apple Rock Team, especially the designers, engineers, fabricators and the amazing warehouse crew who make the creation of these amazing custom displays and exhibits possible. November 3, 2016 - Apple Rock Wins Corporate LiveWire “Trade Show Display Creator Of The Year” Award. Apple Rock Advertising and Promotion, Inc. (Apple Rock) has been named by Corporate LiveWire as the Innovation and Excellence Awards Trade Show Display Creator of the Year. The company continues to win accolades for superior trade show display design, production and customer service, accumulating a dozen top industry awards in 2016 alone. November 2, 2016 - Apple Rock Takes Home Fifth Straight Platinum and Gold Marcom Awards. Apple Rock Advertising and Promotion, Inc. (Apple Rock) revealed it was awarded the top Platinum and two Gold Marcom Awards in the 2016 Trade Show Exhibit Category. Garnering five awards in all, the company continues to shine as an industry leader in innovative and cutting edge trade show display designs. August 16, 2016 - Apple Rock Announces Nomadic New York/ New Jersey and Nomadic Capitol have joined Apple Rock Displays. Apple Rock Advertising and Promotion, Inc. (Apple Rock Displays) announced August 1, 2016 that Nomadic New York/ New Jersey and Nomadic Capitol direct sales offices have officially merged with Apple Rock Displays. July 1, 2016 - Apple Rock Announces ExhibitCraft, Inc. now Apple Rock New York/ New Jersey. Apple Rock Advertising and Promotion, Inc. (Apple Rock) announced July 1, 2016 that ExhibitCraft, Inc., their sister company based in Wayne New Jersey, is now officially named Apple Rock New York/ New Jersey. Click here to read the full press release. Greensboro, NC—Apple Rock Advertising and Promotion, Inc. (Apple Rock) announced it was presented with five Marcom Awards in the category of Trade Show Exhibit for 2016. The company won the highest honor, two Platinum awards, for their 30 ft. x 50 ft. custom modular display design for DebUSA and a 20 ft. x30 ft. custom modular display for Rakuten Marketing. Two Gold awards were earned in the same category for custom displays for both Sakrete and Biesse America. Apple Rock also received an honorable mention for their custom display design for Homecare Homebase. This is the 3rd consecutive year that Apple Rock has won multiple Hermes awards for their trade show display designs, making Apple Rock continue to stand out as a true industry leader. Click here to read the full press release. Greensboro, NC—Apple Rock Advertising and Promotion, Inc. (Apple Rock) announced it was presented with three Marcom Awards in the category of Trade Show Exhibit for 2015. The company won the highest honor, a Platinum award, for a custom built 60x70 display for Vecoplan. Two Gold awards were earned in the same category for custom rental designs for both Biesse America and Bermuda Sands Apparel. This is the 4th consecutive year that Apple Rock has won multiple MarCom awards for their trade show display designs, making Apple Rock stand out as a true industry leader. Click here to read the full press release. April 17, 2015- Local face-to-face event marketing firm, Apple Rock Advertising and Promotions, Inc. (Apple Rock Displays) is celebrating its twenty-seventh year as a leader in the exhibition industry, this month. The company, which was founded in April of 1988, has made a name for itself as one of the top designer and manufacturer firms of fully customizable displays and full-service event marketing companies in North Carolina. Click here to read the full press release. March 3, 2015 - Apple Rock Advertising and Promotions, Inc. Unveils New Modular Display at EXHIBITORLIVE in Las Vegas, NV. Greensboro, NC- Apple Rock Advertising and Promotions Inc. (dba Apple Rock Displays), an innovative exhibit design and manufacturing company, launched a new modular display from their ADAPT custom line of products Monday, March 2nd at EXHIBITORLIVE in Las Vegas, NV. Click here to read the full press release. Greensboro, NC-Apple Rock Advertising and Promotions, Inc., and ExhibitCraft Inc., two like-minded event marketing companies, announced today that a definitive merger agreement has been reached that will enhance both companies’ overall market share in the trade show design and fabrication industry. Click here to read the full press release. 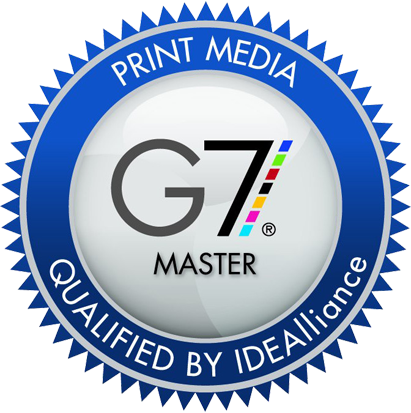 Greensboro, NC- Apple Rock Advertising and Promotions, Inc. earned its G7 Master Printer Certification in December of 2014. This achievement allows the face-to-face event marketing company, the ability to deliver printed products, across multiple substrates at the highest level of quality based on global standards. Click here to read the full press release. Greensboro, NC- Apple Rock Advertising and Promotions is expanding its manufacturing plant at its headquarters in Greensboro, North Carolina. The growing company is adding almost 10,000 square feet to the manufacturing center of its headquarters, enlarging it to 110,000 square feet of state-of-the-art exhibit manufacturing space. This expansion will allow the company to increase fabrication capacity and expand on its own line of custom products. Click here to read the full press release. Charlotte, NC – T1Visions, a provider of interactive touchscreen experiences, today announces its latest software release for the events, exhibits, and trade show market. The new T1Visions software suite, TTMenu 7.0, will affect T1Visions’ inTouch™ Tables, Walls, and inTouchPad application – providing improvements in universal functionality including more intuitive scrolling, a new keyboard, and Web Browser 2.0. Much of the features and updates in T1Visions’ quarterly software releases are a direct result of T1Visions’ ongoing relationship with key partners in the trade show space. Apple Rock, a Certified Premier Dealer of T1Visions’ inTouch Platform, has been utilizing inTouch technology for the past three years.“ Click here to read the full press release. June 26, 2014 - Apple Rock Advertising and Displays, Inc. has been named as an Official Sponsor for the 2015 U.S. Figure Skating Championships. Greensboro, NC- Apple Rock Displays announced it is the Official Display Provider & Builder for the 2015 U.S. Figure Skating Champions. As a leader in the face-to-face event marketing industry, partnering with the largest and most important event in U.S Figure Skating was a obvious choice for Apple Rock Displays. The competition is returning to Greensboro for the second year, January 18-25, 2015. Click here to read the full press release. May 8, 2014 - Apple Rock Advertising and Promotions Is The Recipient Of Two Hermes Creative Awards. Greensboro, NC- Apple Rock Advertising and Promotions, an innovative exhibit design and manufacturing company, is proud to announce that it is the recipient of two Hermes Creative Awards. The company won a Platinum award for a trade show exhibit and a Gold award for an event marketing program. The Hermes Creative Awards were established over three decades ago to honor the messengers and creators of traditional and developing media. Receiving theses awards is a tremendous achievement that recognizes outstanding talent within the marketing and communication industries. Click here to read the full press release. Greensboro, NC- Apple Rock Displays, an innovative exhibit design and manufacturing company, knows the importance of trade show design and functionality. The company will be launching a brand new 10 foot x20 foot custom modular exhibit, from their own Adapt product line, featuring the most cutting edge technology. This fully integrated booth, highlighting touch based technology, can be viewed at EXHIBITOR2014, March 17-19, 2014, booth #1529. Click here to read the full press release. Greensboro, NC- Apple Rock Displays was accepted into the Safety and Health Recognition Program (SHARP) again in 2013. The SHARP status was awarded to Apple Rock Inc. manufacturing facility for the second time because the company has continuously maintained a healthy working environment free from safety hazards. Apple Rock was accepted into the program for the first time in 2011. Click here to read SHARP Award press release. Scheduled to coincide with the company’s 25th anniversary, Apple Rock Displays will introduce its newest technology product at Exhibitor2013 in Las Vegas this month. The introduction of a 46” version of the company’s award-winning ADAPT Interactive Touch-Screen Counter and iPad Mobile App 2.0 is the next step in the company’s commitment to leadership and innovation. Click here to read the Exhibitor2013 press release. During a time in history when more businesses have closed their doors than any other period except the Great Depression, Apple Rock is celebrating 25 years of positive growth, job creation, technology innovation, service to the trade show and event marketing industry. Click here to read the Anniversary press release. Apple Rock Advertising & Promotion, Inc. has announced that they have earned two MarCom awards, both of which are in the Ads/Tradeshow Exhibit category. 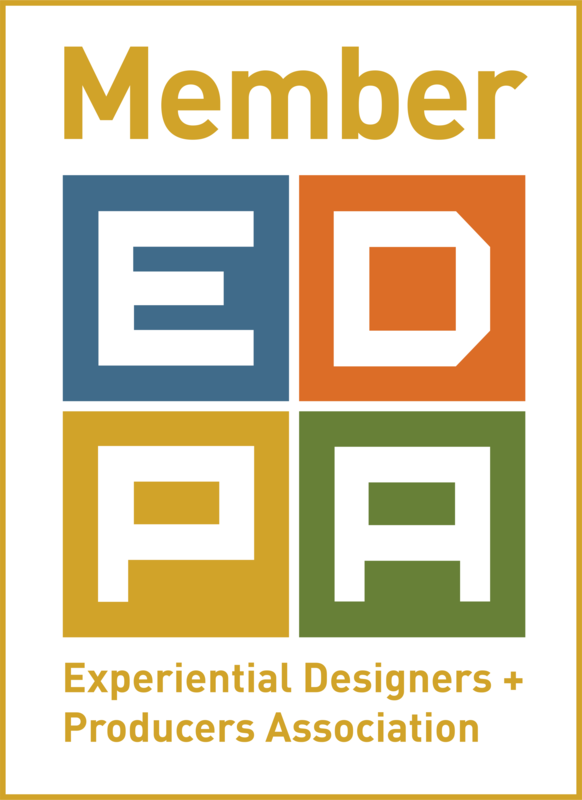 They earned a Platinum award for a custom rental tradeshow display for Vecoplan, LLC, and a Gold award for a custom tradeshow display for SEW-Eurodrive. 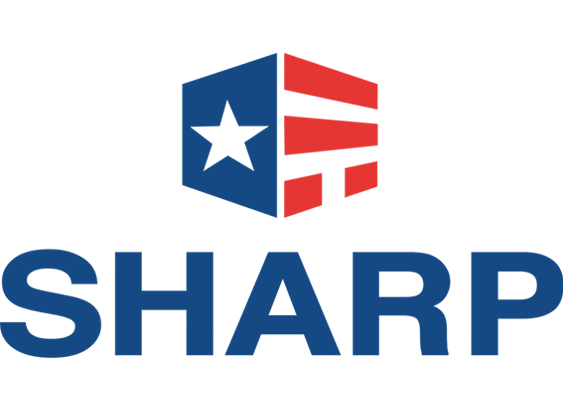 Click here to read the MarCom press release. Officials at Apple Rock Advertising & Promotion, Inc. have announced that they have earned a contract with the United States General Service Administration (GSA). The contract was effective on November 1, 2012. Click here to read the GSA press release.